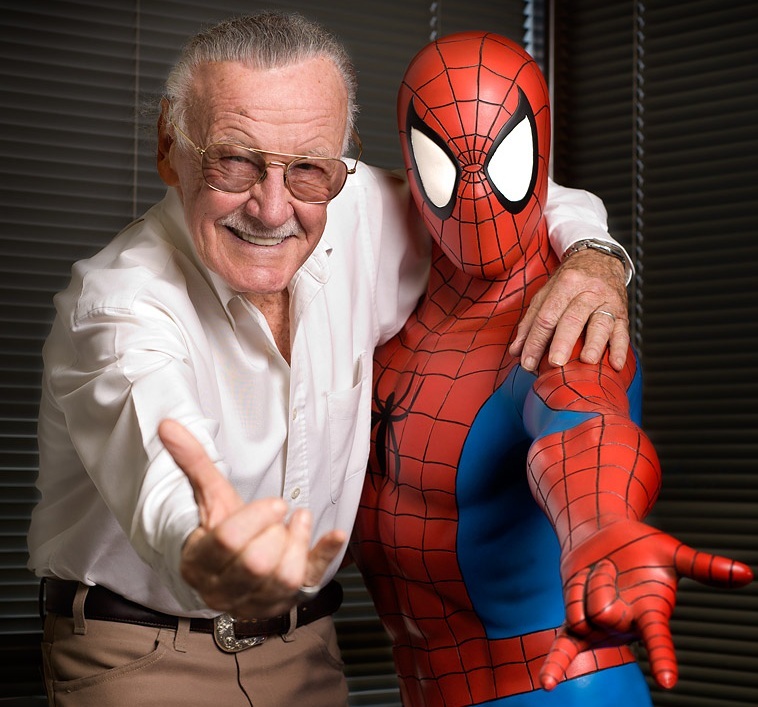 How much did people like Stan Lee? More than enough to stand in line for a few hours and pay handsomely for an autograph. I saw (and did it) for myself. Eight years ago, I attended an event where Stan Lee appeared. If you paid $120, you could attend a talk by the former Marvel Comics editor and get a ticket for a personalized autograph. 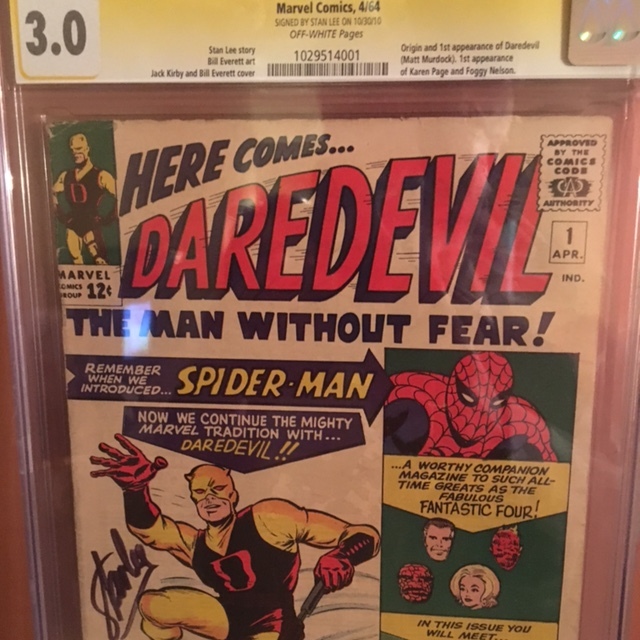 If you paid $40, you go a simple “Stan Lee” autograph. Those who paid $120 got in front of the line for autographs. Stan, accompanied by an entourage, strode to the desk where he’d sign. “We love you Stan!” someone in line yelled. Stan, without missing a beat replied. “I love to be loved!” He got a big laugh. He was in his late 80s but his voice sounded strong. When he died this week at age 95, there was an outpouring of emotion. Some were famous. “I owe it all to you,” Robert Downey Jr., whose career was revived playing Iron man, wrote on Instagram. along with a picture of himself with Lee. Numerous comic book professionals also took to social media to bid farewell to the showman of Marvel. Lee had his detractors, particularly on the issue whether he gave his collaborator enough credit. Artists such as Jack Kirby, Steve Ditko and Don Heck (and later John Romita Sr., John Buscema and Gene Colan among otheers) did much of the plotting of stories. However, Lee (who also wore the hat of chief writer for Marvel) provided a common voice. Humor was a big part of it, such as little asides to his readers. Stan, however, could be serious, even preachy on occasion. The Silver Surfer was created by Jack Kirby in the middle of a Fantastic Four story. But Lee took a liking to the character. He launched a solo Silver Surfer title in the late 1960s (with Buscema on the art instead of Kirby) and it took a very serious tone. Looking back at the 1960s comics as an adult, you could see Lee shift his writing with changing audience tastes. In the mid-1960s, some stories still had a very strong Cold War tone. In 1968, life got more complicated with protests about the Vietnam War and other issues. “If Washington were alive today, we’d call him a protester!” Matt Murdock, the alter ego of Daredevil tells his law partner, Foggy Nelson. Marvel under Lee did begin credits. The first issue of Fantastic Four had “Stan Lee and Jack Kirby” in script as if the two men had signed it. Before long, inkers (artists who went over penciled art in ink so it’d reproduce more clearly) and letterers got credit. Eventually (after Lee became publisher and gave up his editing job), colorists and others got credits. However, that’s not the reason all those people stood in line eight years ago. Lee created a personal connection with the readers of Marvel. That strengthened when Marvel became a force in the movies, with Lee making cameos. In the 21st century, special effects could emulate what Kirby and other other artists put to paper decades earlier. As a result, when Lee died this week, the loss seemed personal and extended among generations. Here’s a tribute from artist Bill Sienkiewicz. Metro-Goldwyn-Mayer, during an investor call this week, briefly referenced Bond 25, mostly about the hiring of Cary Fukunaga as director. Fukunaga’s hiring was announced in September. He got the job after Danny Boyle departed in August in the midst of Bond 25 pre-production. Fukunaga has directed both streaming television series and feature films. Brearton also referenced Bond 25’s release date being delayed to February 2020. Other MGM subjects weren’t discussed. The company has been run by a committee of executives since Gary Barber was fired as CEO in March. There were no comments whether he’ll be replaced or not. Also, MGM’s partner in a U.S. film distribution joint venture, Annapurna Pictures, has been hit with financial troubles. But Annapurna’s name didn’t come up. The joint venture is scheduled to release Bond 25 in the U.S. while Universal will distribute the film internationally. There were no questions from investors on the call. h/t @CorneelVf on Twitter for the heads up.